Like all MMM products it is also programmed to minimize your losses and protect your money from the hostile market. We have protections like Trailing Stop Loss where the stop loss may be moved near to the pair current price once the order has positive profit. You can also define the account minimum equity percentage required to send a new order. Magic Number: this parameter identifies the order the EA is working with. 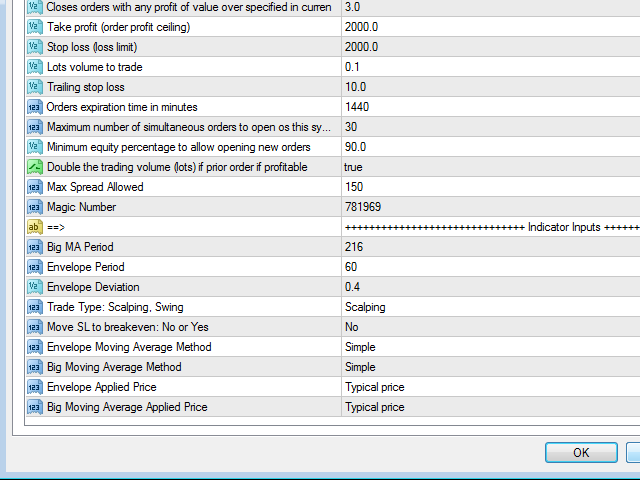 Big Moving Average Applied Price: the indicator's big MA applied price. 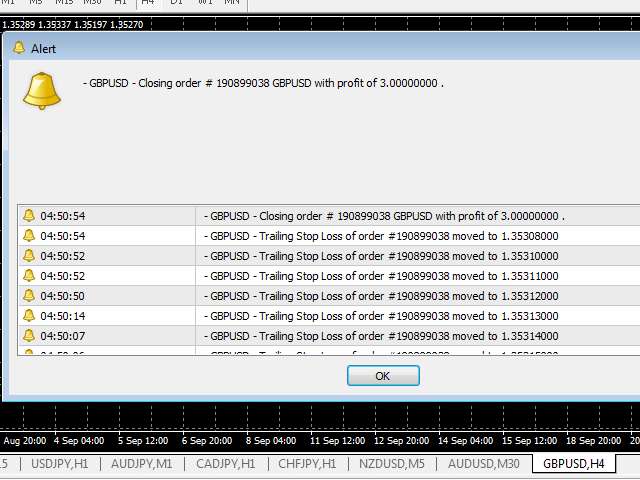 -Limits the maximum number of open orders to the maximum number allowed by the MT4 server avoiding an error message. 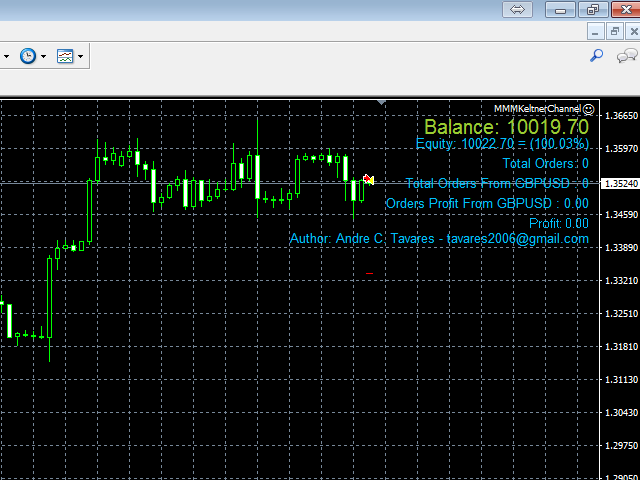 - Added the "Maximum Lot Size Allowed" input which limits the lot size increased after a successful profitable order close. 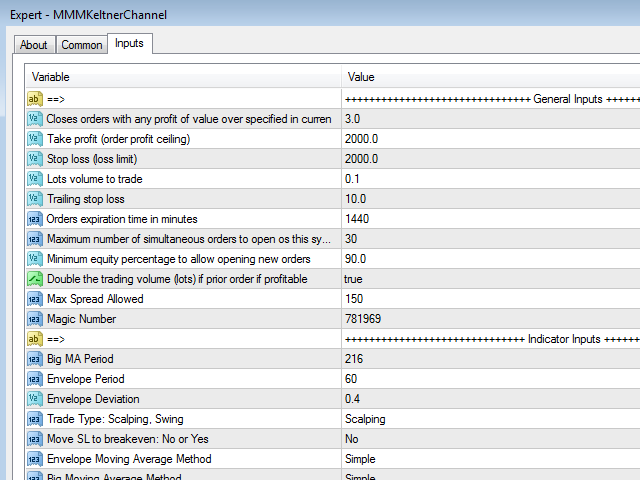 It works together with the "Double the trading volume (lots) on gain" input if its value is true.